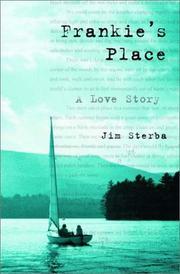 Journalist Sterba (Wall Street Journal) glowingly recalls Mount Desert, a Maine island where he and his wife, writer Frances FitzGerald, spend their summers. The cabin, surrounded by cedars, spruce, and pine trees, overlooks a fjord; an alternate view features seabirds and lobster-trap buoys. It’s full of books (as befits two authors) and also contains a fireplace made from local granite and a life-size golden Buddha from Vietnam. Sterba came to the island in 1983 as FitzGerald’s weekend guest. The “entertainment”—better known as the FitzGerald Survival School—included jumps into the ocean’s icy waters and “walks up and down mountains that would have been called forced marches in many of the world’s armies.” But he survived and was invited for another weekend that fall; the next summer FitzGerald invited him for a week. They began seeing each another in New York and eventually married. Although the story takes place over one summer, each chapter includes delightful tangents: Sterba’s early years as a cub reporter with the New York Times, the art of mushrooming, the history of the island and its occupants. The author reminisces about the island’s chief librarian and part-time police officer, probably the only person in the area “with a working knowledge of both the Dewey decimal system and the police response code.” We also meet the poem-writing editor of the local paper (“Why doesn’t the woodpecker / Rattle his brains / When he hammers a tree / Or the windowpanes?”) and a freelance author with a secret past. (He starred in The Texas Chainsaw Massacre.) During the warm summer days, Sterba listens to marine radio (tracking rescue operations), the weather report, and the musings of lonely fishermen. Friends come to visit and are fed; recipes are recorded. The author’s prose is lovely, his self-deprecating humor endearing. Eventually, the summer and the book wind to a close: back to the real world, but not without a sigh of satisfaction. The perfect summer read about an exceptional summer destination.